please see first part and second part before start it. here static variable subtracted for rotating in clockwise and subtracted by 6 because 360/6 equal to 60 which we need to round the circle. now in 4th part we will see how we can use rotate, translate and scale operation and then we will make it to take real time. 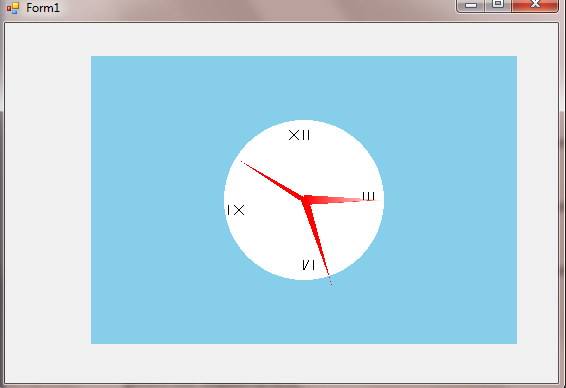 This entry was posted in C#, OpenTK, Winform app and tagged 2d, analog clock, C#, draw c# . dotnet, graphics, OpenGl, OpenTK. Bookmark the permalink.